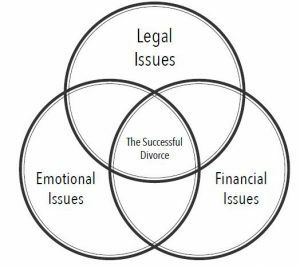 To be effective these days, law firms must address all of these issues to help people resolve their divorce successfully. We have reinvented the practice of family law to do just that. All of our lawyers possess certain unique skills. Steven Peskind is a nationally recognized family lawyer. He is one of only 100 lawyers admitted to the American College of Family Trial Lawyers, a prestigious organization that admits by invitation only, the top divorce trial lawyers in the nation. He is an accomplished and experienced lawyer, possessing the wisdom to help our clients navigate a sometimes treacherous process. Edward Milas, also a skilled trial lawyer and negotiator helps people resolve their problems both in court and at the conference table. He is an empathetic problem solver. Mollie Peskind focuses her practice on helping clients with child custody, parenting disputes, and related matters. She helps our clients address some of the most critical issues of their lives: the welfare of their children. John Peskind is a highly skilled legal researcher and writer, who helps our clients both in the trial and appellate courts of this state. Melissa Rister, a Certified Public Accountant, assists our clients with tax and the other financial aspects of their case. Melissa is a certified divorce financial planner who also helps our clients and lawyers determine the most advantageous ways to structure a financial settlement. Our use of an accountant benefits you in a number of ways. First by having Ms. Rister “in house”, we have access to instant information to help prepare your case. She has a holistic perspective on your family finances, which further helps us advocate for you. Finally, by using Ms. Rister to preliminary analyze large amounts of data, it saves our attorney’s time, which translates into a cost saving for our clients. For more information about Ms. Rister, please consult her profile by clicking here. For those who need help navigating the emotional realm of divorce, our firm also employs Jenna Adams, a certified divorce coach. As necessary, Ms. Adams forms a partnership with our clients to help them set and achieve realistic goals during and after the divorce process. As a divorce coach, Ms. Adams is available to help clients manage their personal and emotional affairs during the process, helping them avoid making poor choices and their consequences. For more information about Ms. Adams, consult her profile by clicking here. The Peskind Law Firm is uniquely configured to help you achieve a successful outcome. Our multilateral expertise is unique and no other firms in the state cater to clients in this fashion. Our broad skill sets allows our clients the peace of knowing that their legal, financial and emotional interests are protected. We have literally reinvented the practice of family law, placing our clients in the best possible position to legally, financially and emotionally to rebuild their lives.